In February Programmed were thrilled to welcome 20 apprentices into the 2019 intake of the National Energy Technician Training Scheme (NETTS), our largest cohort to date. Over 1500 individuals applied for a place in this year’s intake for this highly regarded program. Now in its fourth year, the NETTS Program is gaining traction in the oil and gas industry with new host company INPEX joining the established collaboration between Programmed and hosts Shell, Santos, Woodside and Vermilion. 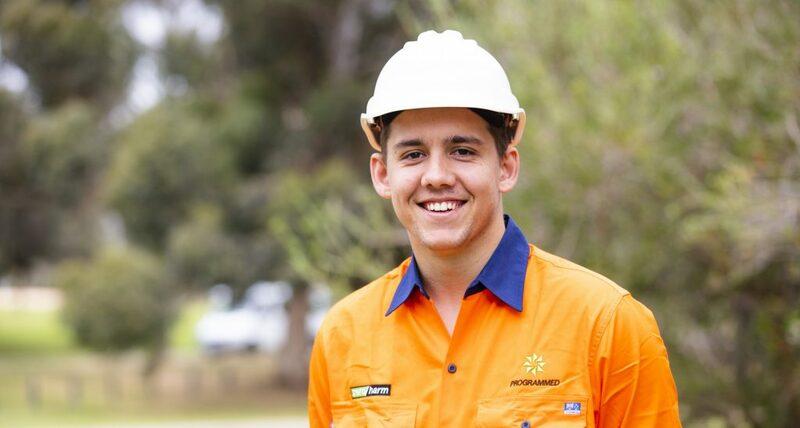 As our 18 Process Plant Operator Apprentices and two Instrument Electricians start their careers, they will spend their first 18 months with their heads in the books at South Metropolitan’s ACEPT (Australian Centre for Energy and Process Training). Following this, they will be ready to join their host company sites where they will bring their enthusiasm, education, safety and technical skills to their new team onsite. NETTS apprentices are often praised for their strong and established safety culture, their inquisitive drive to learn more and their openness to new technologies and systems. The third and fourth year apprentices are embedded within their host companies and are proving their worth as competent tradespeople onsite. The NETTS program offers an alternate pathway into the oil and gas industry, particularly for those who have recently left high school, and is attracting diverse and high calibre individuals. Our 54 NETTS apprentices come from many different social and cultural backgrounds and with 44% female and 28% indigenous participation in the program, they are changing the face of the industry here in Perth. Mikey Ingram, First Year Shell Apprentice and Broome local. 2019 will continue to see the evolution of our apprentices in their studies, workplace secondments and onsite visits. Programmed continues to support our apprentices on their four year journey to becoming safe, skilled, knowledgeable and qualified tradespeople.